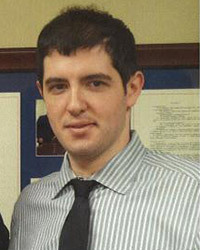 Nels Bejleri specializes in the marketing of real estate owned properties. Nels contributes to the growth of Elite Premier Properties through his ambition and dedication in property valuation, marketing and sales negotiations. Nels brings his accounting background as well as his strong work ethics, integrity, in-depth community and market knowledge, marketing savvy and a high-quality professional network to Elite REO. Established in 2006, Elite is a full service real estate brokerage company, licensed and conducting real estate in Arizona, California, Colorado, Florida, Georgia, Illinois, Maryland, Massachusetts, Michigan, Nevada, North Carolina, Pennsylvania, South Carolina, Texas and Washington.